This week we continue our focus on the aftermath of the Marathon Day Bombings. Friday, Governor Patrick called residents of a number of cities and towns including Boston to “shelter in place” as the manhunt for one of the suspects in the attack was taking place. So, because we were locked down, we had to change our plans. 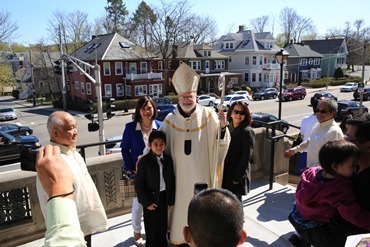 That day we had anticipated to bless new bells at Newton Country Day School. I was looking forward to that. 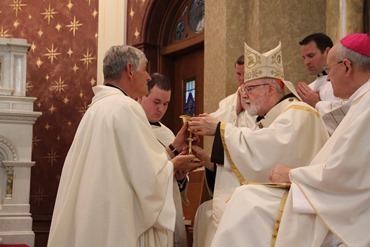 It is not often you get to bless new bells. 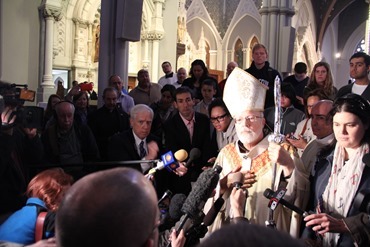 Historically in the Church, the blessing of bells was a very important event. We used to consecrate them with Sacred Chrism oils, and the bells were often given the names of saints. I grew up in a Catholic culture where the ringing of the bells was very important to us, for the Angelus and to call people to Mass. 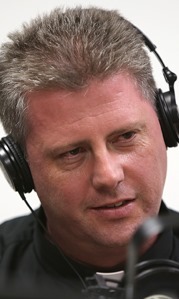 It was the “Vox Dei,” the voice of God, calling people. 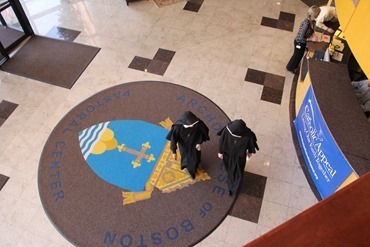 In all of my years in the seminary — besides the Angelus at six o’clock in the morning, at noon, and six o’clock at night — at three o’clock on Friday afternoons we would always toll the bells 33 times. 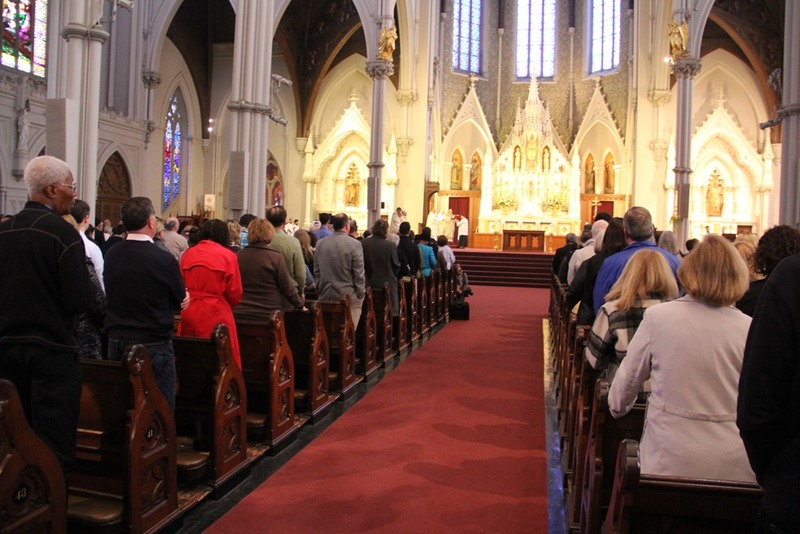 Unfortunately in today’s world, a lot of parishes don’t have the bells and sometimes neighbors complain when the bells are rung. Even in our Cathedral of the Holy Cross where there were plans to have twin bell towers, problems of engineering led to the abandonment of the plans, which meant that even the bells at the cathedral are electronic. 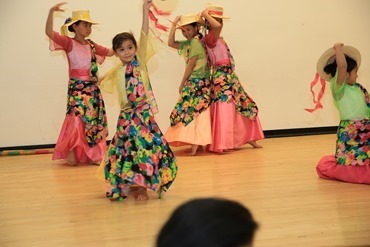 So, I was looking forward to this event at Newton Country Day. The religious of the Sacred Heart run a very fine school there. 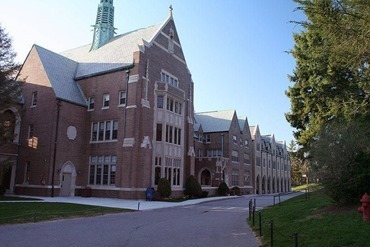 A number of my cousins were teachers at their school in Miami, Carrollton School of the Sacred Heart. My sister in law studied with them as well as a lot of my cousins, and so I have had a long relationship with the religious of the Sacred Heart. We are very aware of the excellent education that they impart. Church bells are an interesting part of our Catholic tradition. Unfortunately, I had to spend the day at the cathedral rectory working from my desk. 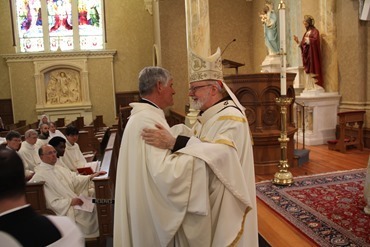 On Saturday, I celebrated the Ordination Mass of Father Jurgen W. Liias, a former Episcopalian priest of 40 years, to the Roman Catholic priesthood on April 20 at St. Mary Star of the Sea Church in Beverly. He was being ordained for the Anglican Ordinariate of the Chair of St. Peter, which is the second Anglican ordinariate that was founded. 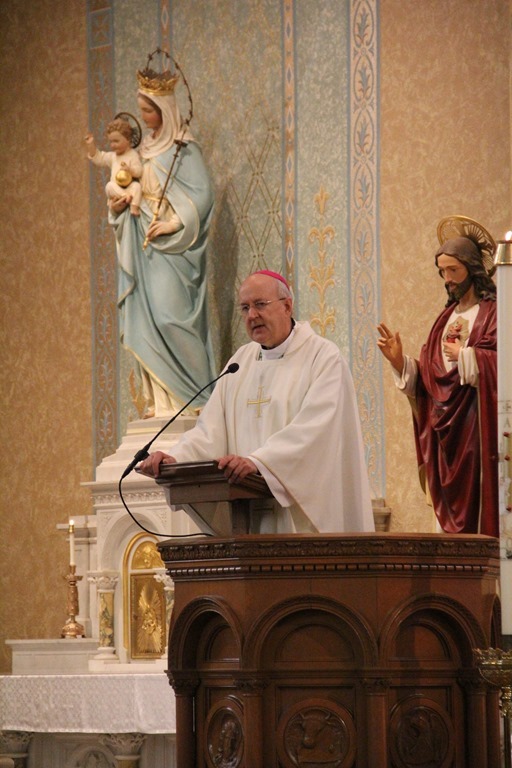 In the homily that day, I explained the whole history and rationale for the ordinariate. 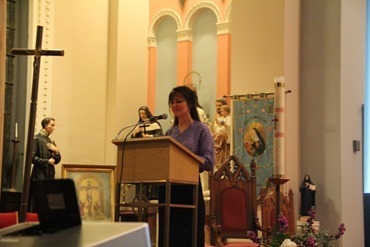 I talked about how after the Second Vatican Council there was a great enthusiasm for the ecumenical movement. 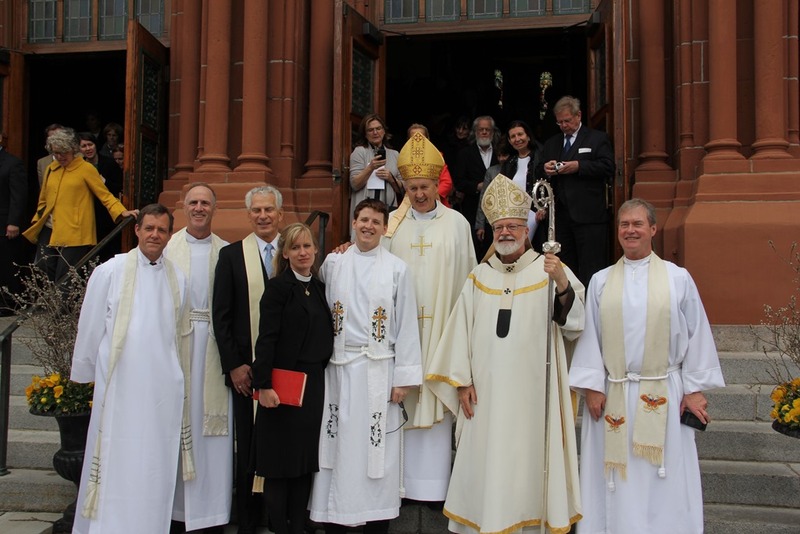 There was a great optimism about the possibility of corporate reunion with historical churches; particularly the Anglican church was seen as the Protestant church that was closest to us. However, over the years we have seen how doctrinal positions have changed in the Anglican community and have taken a much more realistic view on that kind of corporate reunion. 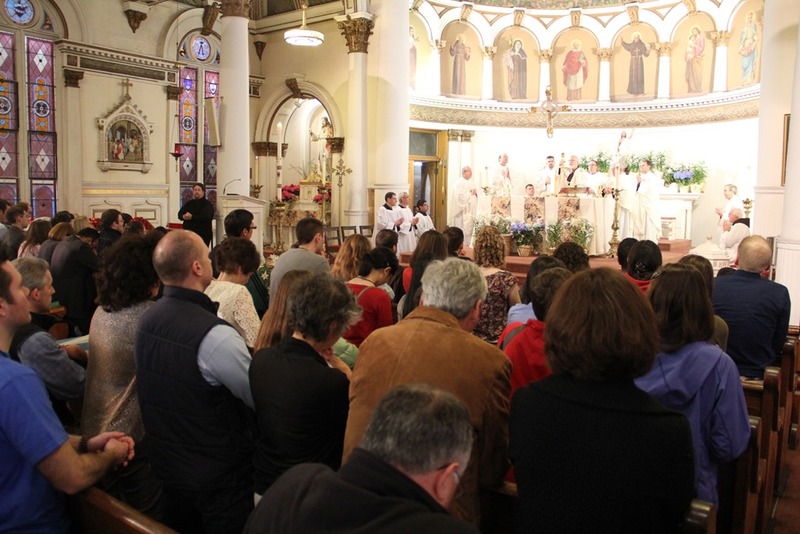 However many Anglicans had been in touch with the Holy See asking to come into the Church. 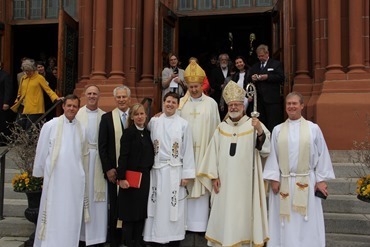 So, Pope Benedict XVI initiated this new system that would allow Anglicans to join the Catholic Church, and to maintain some of their Anglican identity and some of the features of their Anglican liturgy. The first of these ordinariates was founded in England, and now we have one in the United States. 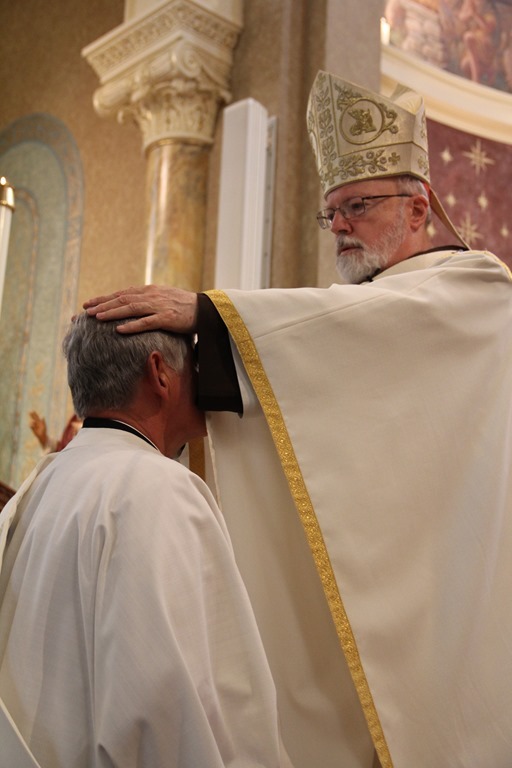 Father Liias was the first one ordained in our area. The head of this ordinariate, Msgr. 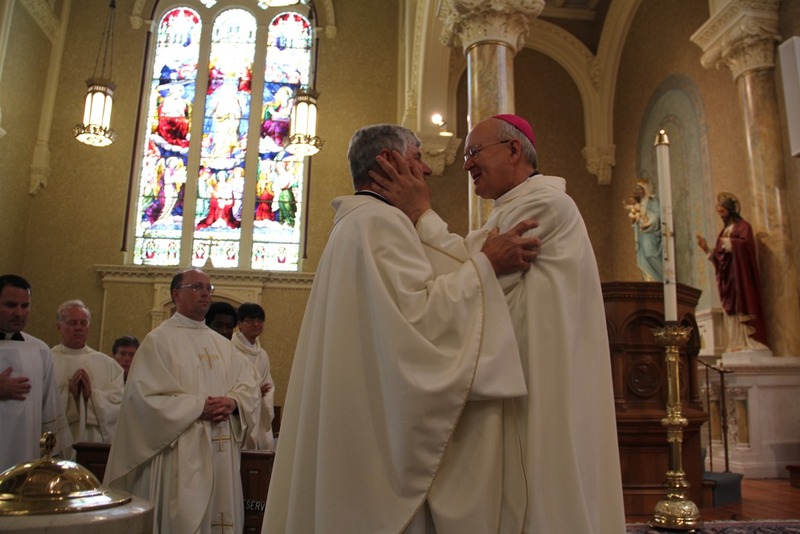 Jeffrey N. Steenson, was himself an Episcopal Bishop before he entered the Church. There were many people from the ordinariate there. 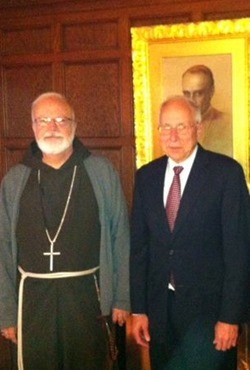 There was quite an ecumenical gathering. 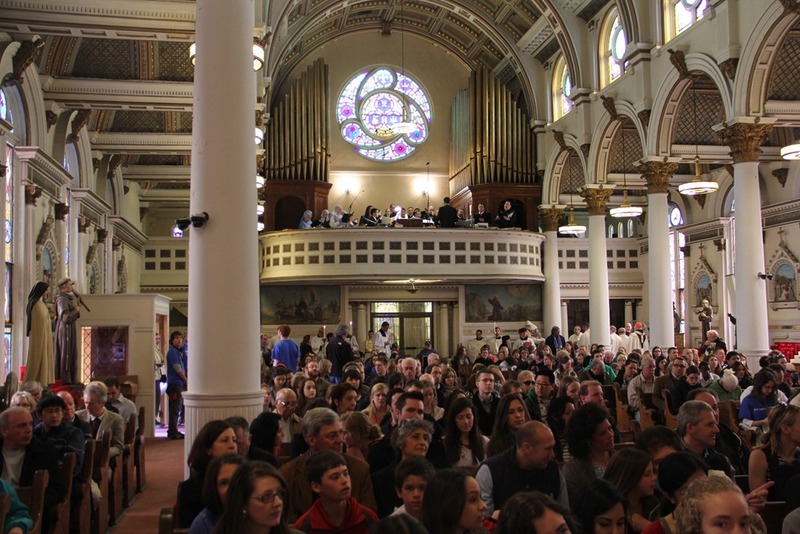 There were many Protestant ministers who also came to this Mass. A number of people who have come into the Church in the past couple of years came as well, and there was great singing. 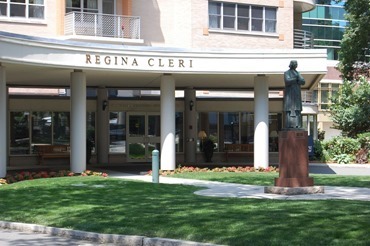 Father Liias’ parish will be St. Gregory the Great Catholic Ordinariate Community at St. Margaret Parish in Beverly Farms. 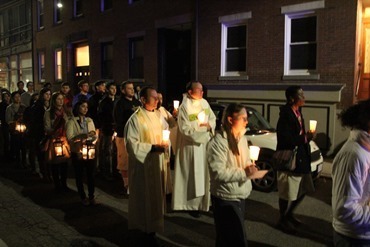 Later that evening I went to the sixth annual Archdiocese of Boston Eucharistic Congress for College Students and Young Adults in the North End, which was supposed to begin Friday, but was cancelled because of the lockdown. Saturday, it began again when I offered Mass for a full church at St. Leonard of Port Maurice Church. 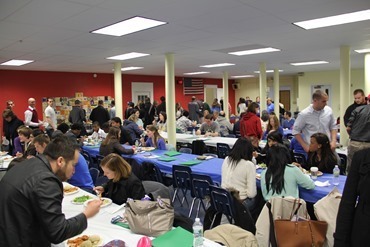 We then went to Sacred Heart Church in North Square for the dinner that the merchants of the North End offer for the young people. There was a talk by Susan Conroy, who had spent many years with Blessed Mother Teresa in Calcutta. Then there was Eucharistic adoration and a Eucharistic procession through the streets. 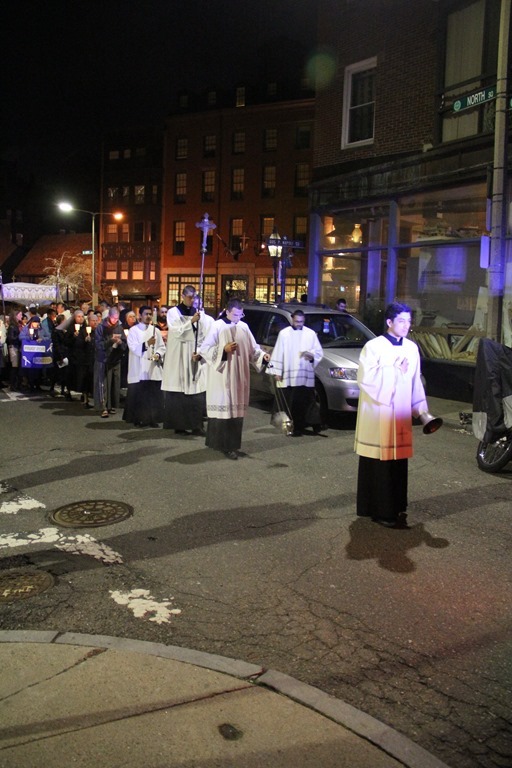 The North End is a neighborhood that has many processions because of the popular religiosity of the Italian Catholics who are residents there. But, this one is kind of unique in that it is late at night on a Saturday evening, which is in one of the busiest areas of Boston at night because of the extraordinary number of Italian restaurants that are there. This year, I am told that many people just joined the procession from the passersby. I think in light of everything that happened, people were looking for an opportunity to pray. People are always very respectful, and they rang the church bells during the procession even though the procession is after ten o’clock at night. The North End on weekends is a bustling place filled with tourists, restaurant-goers, and people out for a walk looking for Italian pastries and coffee. It is an ideal spot for that kind of a public witness. We have monthly activities there for that reason. 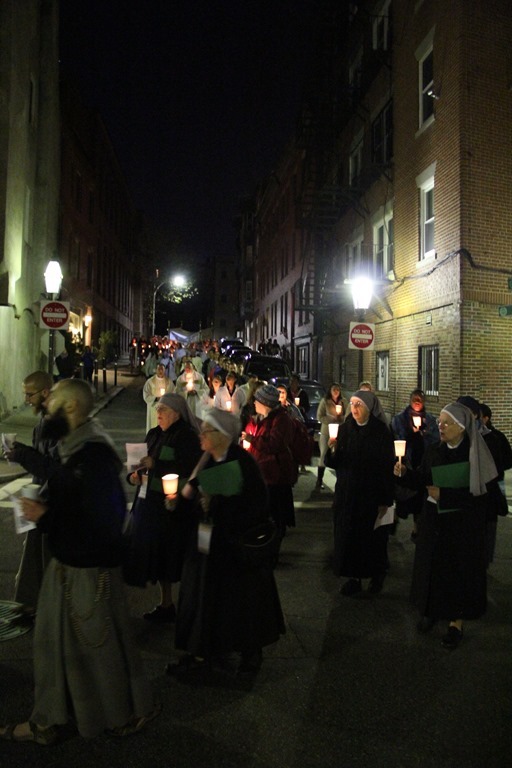 The people who live in the North End are very supportive and very enthusiastic about the Eucharistic Congress and the other activities. Father Antonio and the people of St. Leonard’s Parish are also wonderfully generous in hosting us and facilitating all the aspects of it. 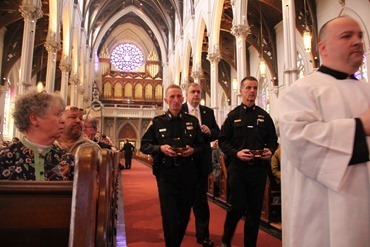 The next morning, we had a Mass at the Cathedral of the Holy Cross for those who were killed during the course of the week, victims of the bombing attack and the police officer killed later, and to pray for all of the wounded and their families. 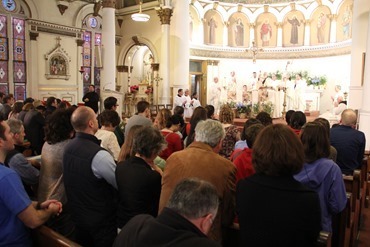 The Mass was very well attended, and I could not help but notice that many people when they came to receive communion were crying. My presumption is that they were relatives of people who had been seriously injured in the attack. There was a very large media presence there, so I was happy to be able to communicate our message to the wider community as well. As I mentioned in the homily, a week before at the same 11:30 a.m. Mass is when Father O’leary gave the blessing for the runners. There were many runners and people who were going to the Marathon, including spectators. Jesus said “they will strike the shepherd and the sheep will scatter”; that is what happened to His disciples after the Crucifixion, as they scattered in fear, doubt and panic. On Easter the Good Shepherd returns to gather the scattered; Mary Magdalene in grief, Thomas in doubt, Peter in betrayal. 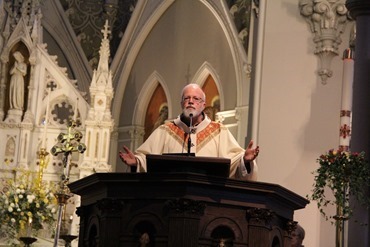 We too are scattered and need the assurance of the Good Shepherd, who lays down his life for us, who comes to gather us in our scattered in our brokenness and pain, scattered by failed marriages, lost employment, estranged children, illness, the death of a loved one, soured relationships, disappointments and frustrations. 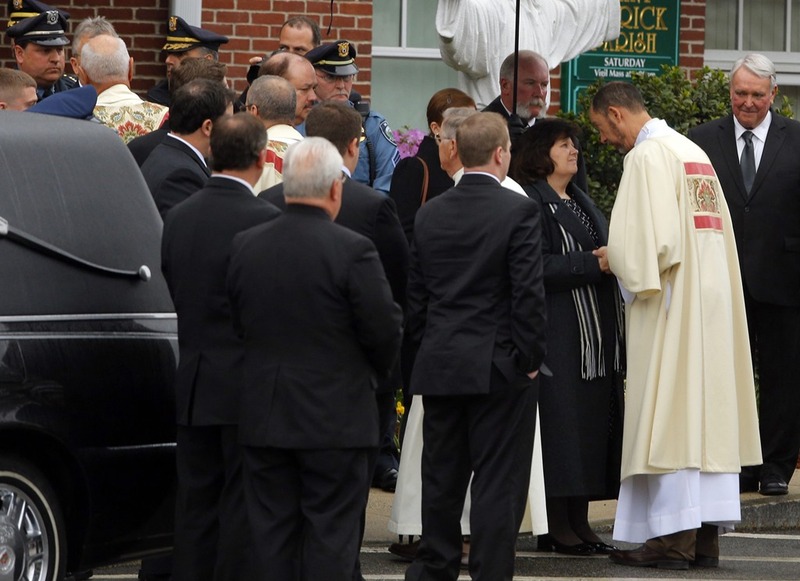 This week we are all scattered by the pain and horror of the senseless violence perpetrated on Patriots Day. 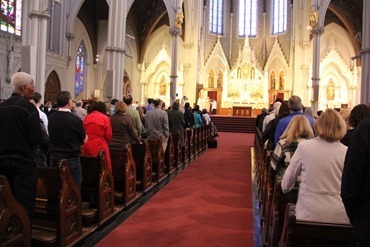 Last Sunday at the 11:30 Mass here at the Cathedral of the Holy Cross, Fr. 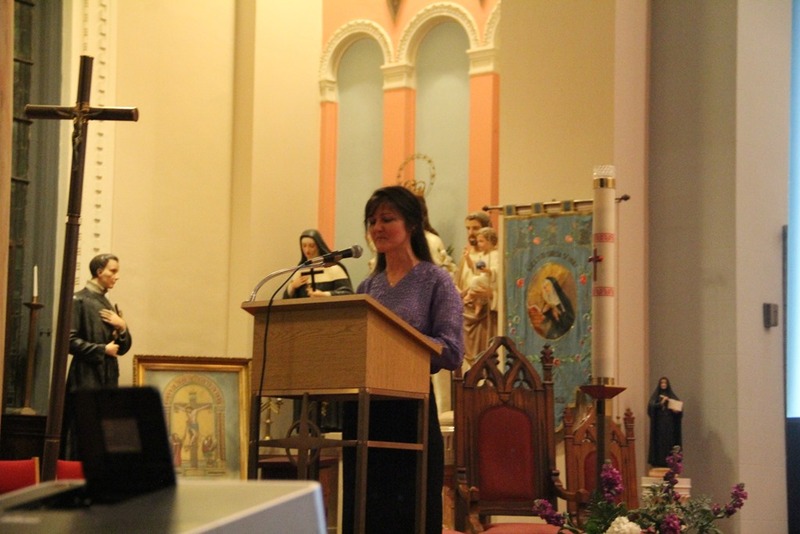 O’Leary led a special blessing for the many runners who participated in the Mass. 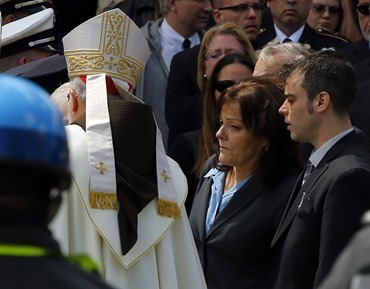 Some people here were among those injured and those who witnessed the terrible events that unfolded at the finish line of the Marathon, but everyone was profoundly affected by the wanton violence and destruction inflicted upon our community by two young men unknown to all of us. It is very difficult to understand what was going on in the young men’s minds, what demons were operative, what ideologies or politics or the perversion of their religion. It was amazing to witness, however, how much goodness and generosity were evidenced in our community as a result of the tragic events they perpetrated. It reminds me of a passage in Dorothy Day’s autobiography where she speaks about experiencing a serious earthquake in California when she was a young girl. Suddenly neighbors that never spoke were helping each other, sharing their food and water, caring for children and the elderly. She was amazed and delighted, but a few weeks later people retreated to their former individualism and indifference. Dorothy Day spent the rest of her life looking to recapture the spirit of community. 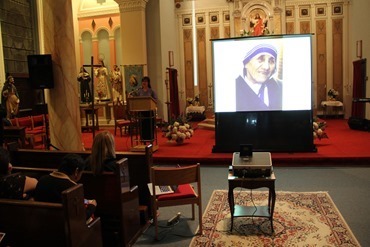 That led her to the Communist Party and eventually it led her into the Catholic Church and to found the Catholic Worker Movement, dedicating herself to the care of the homeless, the drug addict. This past week we have experienced a surge in civic awareness and sense of community. It has been inspiring to see the generous and at times heroic responses to the Patriots Day violence. Our challenge is to keep this spirit of community alive going forward. As people of faith, we must commit ourselves to the task of community building. Jesus teaches us in the Gospel that we must care for each other, especially the most vulnerable; the hungry, the sick, the homeless, the foreigner; all have a special claim on our love. We must be a people of reconciliation, not revenge. The crimes of the two young men must not be the justification for prejudice against Muslims and against immigrants. The Gospel is the antidote to the “eye for an eye and tooth for a tooth” mentality. The parable of the Good Samaritan is the story about helping one’s neighbor when that neighbor was from an enemy tribe, a foreign religion, a hostile group. The Samaritan cuts through centuries of antipathy by seeing in the Jewish man who had been beaten and left for dead not a stranger or an enemy, but a fellow human being who has a claim of his humanity and compassion. We know so little about the two young men who perpetrated these heinous acts of violence. One said he had no friends in this country, the other said his chief interests were money and his career. People need to be part of a community to lead a fully human life. As believers one of our tasks is to build community, to value people more than money or things, to recognize in each person a child of God, made in the image and likeness of our Creator. The individualism and alienation of our age has spawned a culture of death. Over a million abortions a year is one indication of how human life has been devalued. Violent entertainment, films and video games have coarsened us and made us more insensitive to the pain and suffering of others. The inability of the Congress to enact laws that control access to automatic weapons is emblematic of the pathology of our violent culture. When Pope John Paul II visited Madrid in 2003, addressing one million young people, he told them; “Respond to the blind violence and inhuman hatred with the fascinating power of love.” We all know that evil has its fascination and attraction but too often we lose sight of the fact that love and goodness also have the power to attract and that virtue is winsome. 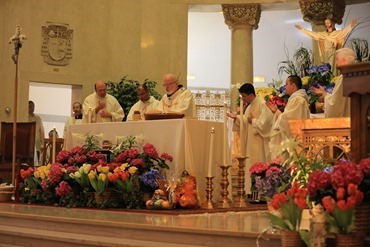 Passing on the faith means helping people to lead a good life, a moral life, a just life. Thus part of our task as believers is to help our people become virtuous. Plato thought that virtue was knowledge. As Chain Ginott, the concentration camp survivor, reminds us, doctors, nurses, scientists and soldiers were part of the Holocaust machinery, showing that knowledge is not virtue, and often science and technology have been put at the service of evil. It is only a culture of life and an ethic of love that can rescue us from the senseless violence that inflicts so much suffering on our society. Like Christ our Good Shepherd, we who aspire to be Jesus’ disciples and to follow His way of life, we too must work to gather the scattered, to draw people into Christ’s community. It is in His Gospel that we find the answers to the questions of life and the challenging ideals that are part of discipleship; mercy, forgiveness, self sacrifice, service, justice and truth. 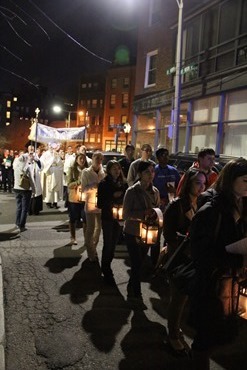 Although the culture of death looms large, our Good Shepherd rose from the grave on Easter and His light can expel the darkness and illuminate for us a path that leads to life, to a civilization of solidarity and love. I hope that the events of this past week have taught us how high the stakes are. We must build a civilization of love, or there will be no civilization at all. From the cathedral I went to West Roxbury to celebrate Mass with the Filipino community at Holy Name Parish. Fr. Cyriac Mattathilanickal, MS, an Indian priest that is the spiritual director for the Filipino community and who speaks Tagalog, put together the event. 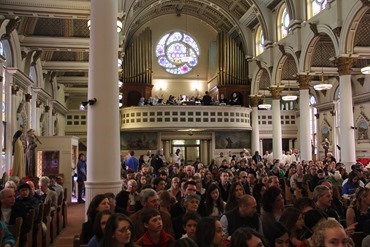 We had a full church. It was a beautiful celebration. 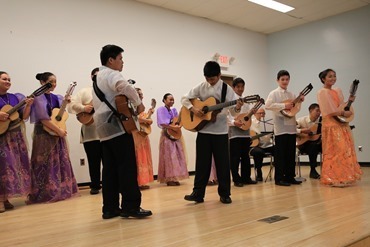 The Filipino people are extraordinary Catholics, and as they have immigrated around the world have carried their faith and their traditions with them. We are very blessed to have a community here. 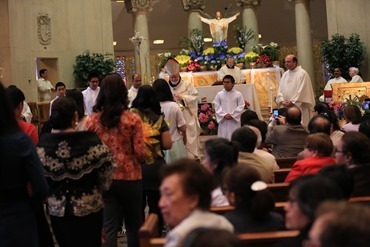 There were a couple of Filipino priests with us. Fr. Francis Alvarez, SJ, a Filipino Jesuit from Boston College and Fr. 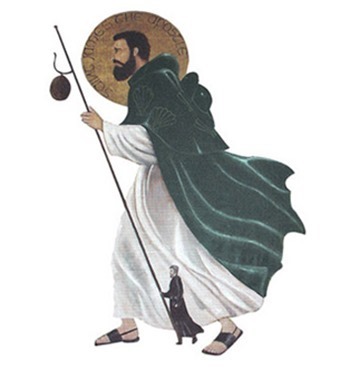 Joshua Mary, OFM. 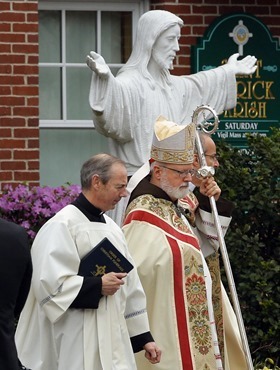 Of course, the pastor, Father Carlson, was there as well as Father Michael Harrington who is the head of our Ethnic Apostolate Office. 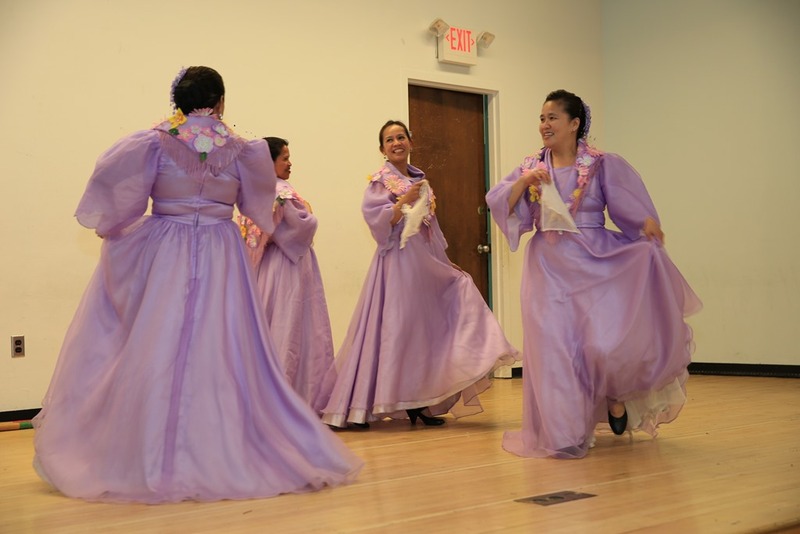 After the Mass there was a beautiful gathering that included popular singing and dancing. This week I presided at the Funeral Masses for Krystle Campbell at St. Joseph’s in Medford Monday and Officer Sean Collier at St. Patrick’s in Stoneham, Tuesday. 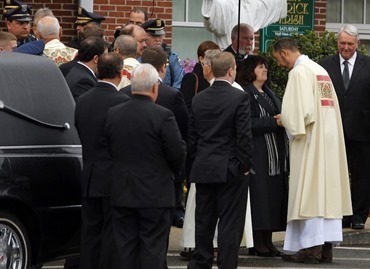 The governor attended both of those Masses, and at Krystle’s there was a huge crowd outside the church just waiting there respectfully to accompany the ceremony. Tuesday, there were many police there with the Collier family for the Funeral Mass. There was also a huge police presence at MIT where they had a memorial service, on Wednesday. 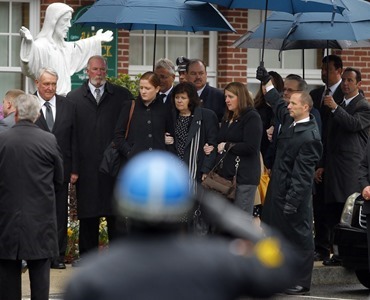 When a police officer dies in the line of duty, there is always a huge police presence at the Mass or the memorial service and they come from as far away as Canada. 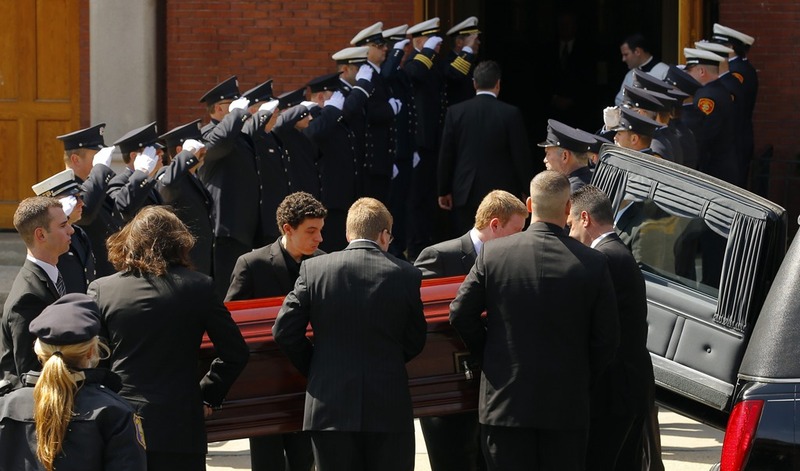 That was the case for Sean Collier, but the massive police presence was actually at the memorial service at MIT. 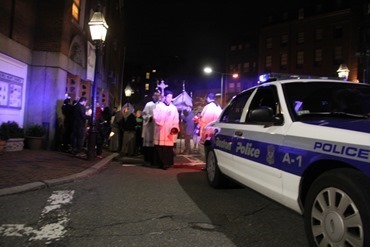 Of the four people that died as a result of this attack, the three who were from Boston were all Catholic. 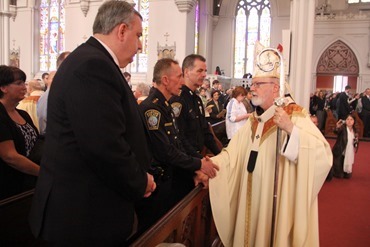 While we were celebrating the Mass for Officer Collier, Father Sean Connors and Father John Connolly were celebrating a Mass at the cemetery with the immediate family members of the Richard family. There will be a public service for Martin Richard, the 8-year-old who died as a result of the blast, at some time in the future, but his mother and sister are still recuperating from their injuries as the result of the same blast that killed the little boy. The little boy’s picture has been seen everywhere. 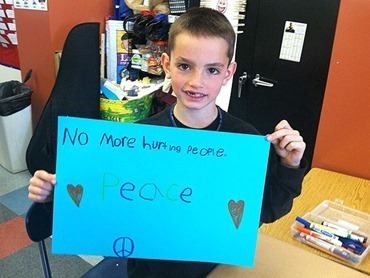 He had just made his first communion recently, but the picture that touched everyone was the picture of him with a sign that he was carrying that said, “No more hurting people.” Hopefully his death will carry that message forward, and inspire people to overcome the kinds of hatreds and prejudices that lead to these violent acts. On Monday, I also had a meeting with Carl Landwehr of the Vitae Foundation. The foundation is an educational organization that uses the media and scientific polling and data to present the pro-life message and work to reduce the number of abortions. I am very interested in working with them and learning more about their approach, particularly around the whole issue of adoption. I have come to the conclusion that we will never be able to make a dent in abortions until we can change people’s attitudes toward adoption. I have already begun to reach out to people around this issue, and the Vitae Foundation was very interested in collaborating with us. 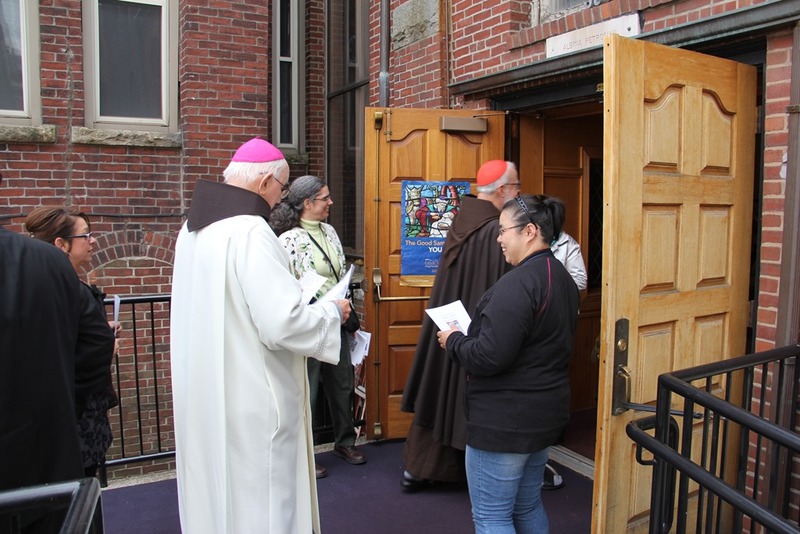 On Tuesday, we had the annual meeting of the Society of St. James at St. Stephen’s in the North End where I met the new director Father David Costello, who is doing a very fine job. We are very proud of the work that is being done. At the meeting it is always very interesting to learn about what is happening in the society. We are grateful to all the people in our parishes that support the missionary work of St. James by their prayers and by their financial support. 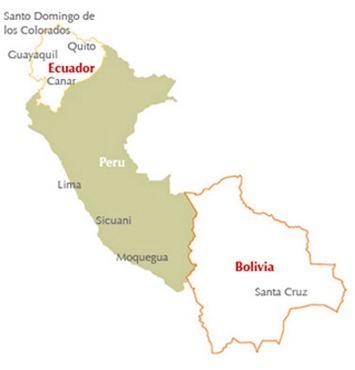 In the last fifty years, we have sent 300 priests to Peru, Bolivia, and Ecuador to provide pastoral services in those countries. 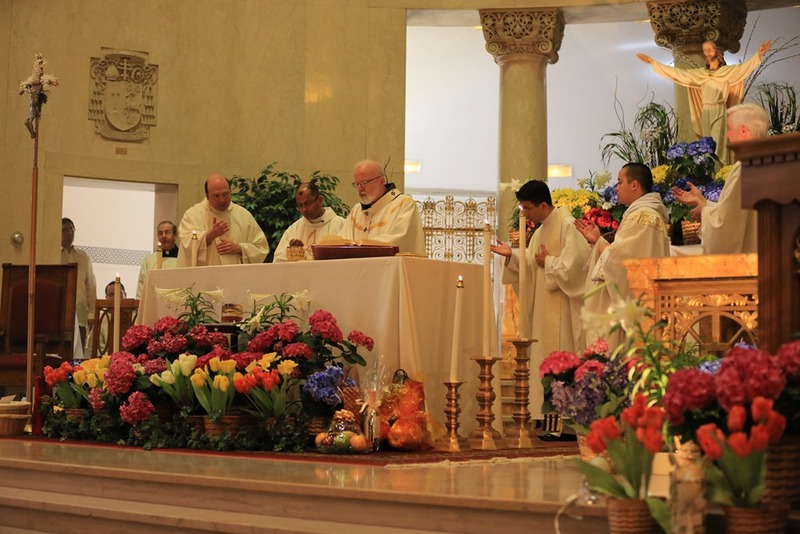 Many of those priests who have returned have been the backbone of Hispanic ministry here in the archdiocese. It has been mutually beneficial in that sense. 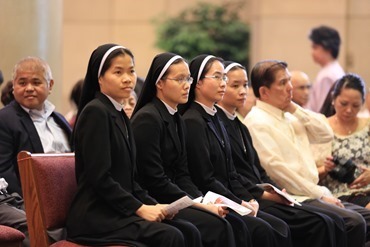 It also keeps before our eyes the fact that we are a missionary Church and that, despite the great challenges we have at home, we also have an obligation to be promoting evangelization around the world. On Wednesday, I had another important meeting. 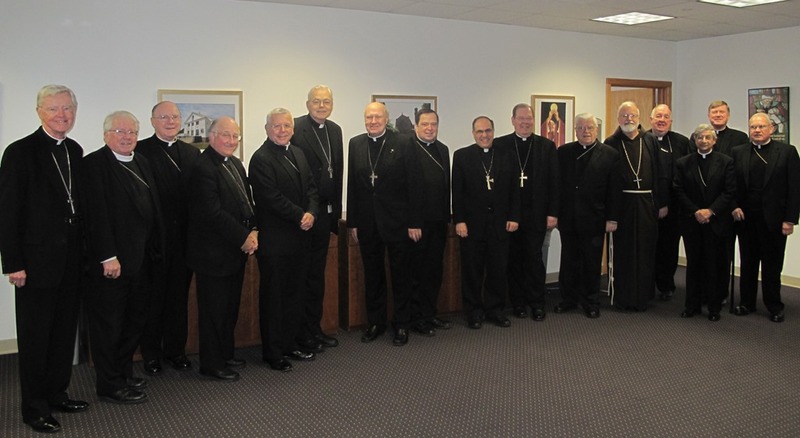 A couple of times a year we get together with the bishops of our ecclesiastical province, which comprises the four dioceses of Massachusetts plus the states that each have one diocese, New Hampshire, Vermont and Maine. It is a time for us to encourage each other and to share information. 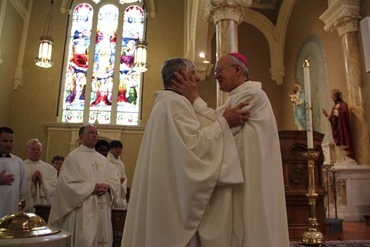 We have a wonderful rapport among the bishops of the region. 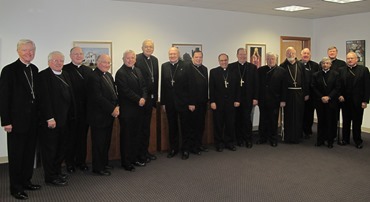 It is always a very enjoyable, as well as enriching, experience to bring them together to talk about the issues that the bishops are facing in the various dioceses of the province, and how we can collaborate and work together. That afternoon I went to a gathering of the Regina Cleri Friends, a new initiative that Joe D’Arrigo is spearheading to involve laypeople in a supportive role to our retired priests. 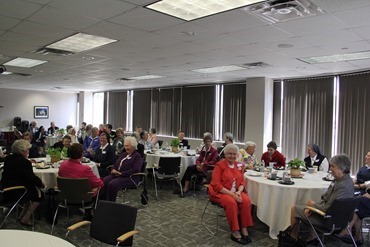 Although it is called the Friends of Regina Cleri, the scope is really to be outreach to all our retired priests who are also living on their own or in other nursing homes. The initiative was very well received. We had a wonderful group there. Yesterday, as we do periodically we had a meeting with the superiors of the women religious arranged by Sister Marian Batho. I gave them a report on the recent activities that I have been involved in, the conclave, the priest retreat in the Holy Land, and our outreach to the victims of the violence on Patriot’s Day. Two of the sisters gave us a report on the Josephine Bakhita House, a house for women who are victims of human trafficking here in Boston. The religious congregations of women particularly sponsor and support it. 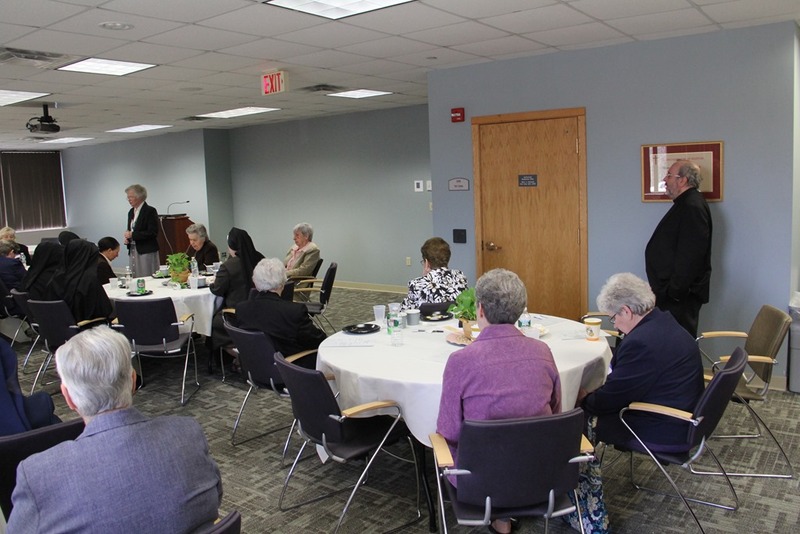 Father Paul Soper and Sister Pat Boyle, also gave a report on pastoral planning efforts in the archdiocese and there was a conversation as to how the religious communities could be supportive and part of this. Then I went to Providence where I celebrated Mass for the seminarians studying there at Our Lady of Providence House, where we have five seminarians studying for Boston. 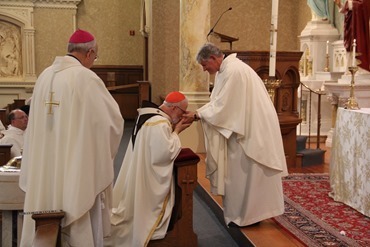 Bishop Bob Evans concelebrated along with the Rector Father Chris Mahar and the spiritual director Father Michael Najim. 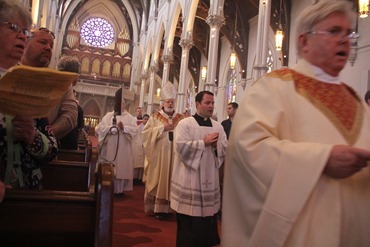 The seminarians sang at the Mass. They have a wonderful Scola and sang beautifully in polyphonic and plainchant. 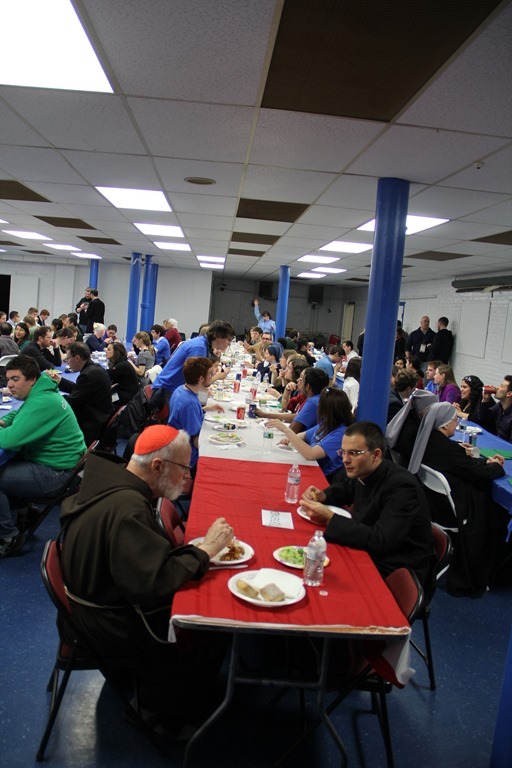 Afterward we had dinner with the seminarians. We are so grateful to Bishop Tobin who has expanded the seminary program there to allow more seminarians from other dioceses in the region.